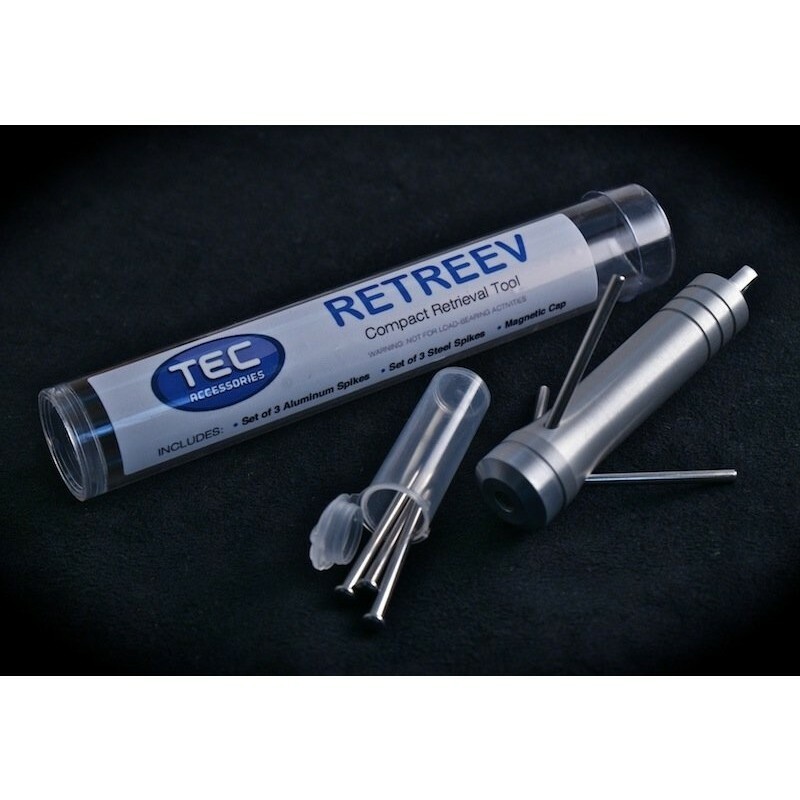 The RETREEV Compact Retrieval Tool is the TEC Accessories version of the conventional grappling hook. However, the TEC version is convenient to carry due to its compact size and light weight. Why would you carry the RETREEV? Rooftops: Pull off those kid’s toys, fallen branches, etc. Items fallen over a cliff or ledge: Don’t risk your safety, pull them back up! General: Lose an item over a fence? Don’t climb the fence, RETREEV it! And if that’s not enough, you could simply suspend it from your ceiling and hang your gear from it! So what makes the RETREEV so different from an ordinary grappling hook? CAUTION: This product will not support your body weight and should not be used for climbing or load bearing activities. In addition, great care should be observed when pulling on the unit when aluminum spikes are installed. The unit could suddenly dislodge from its position and cause severe bodily injury.